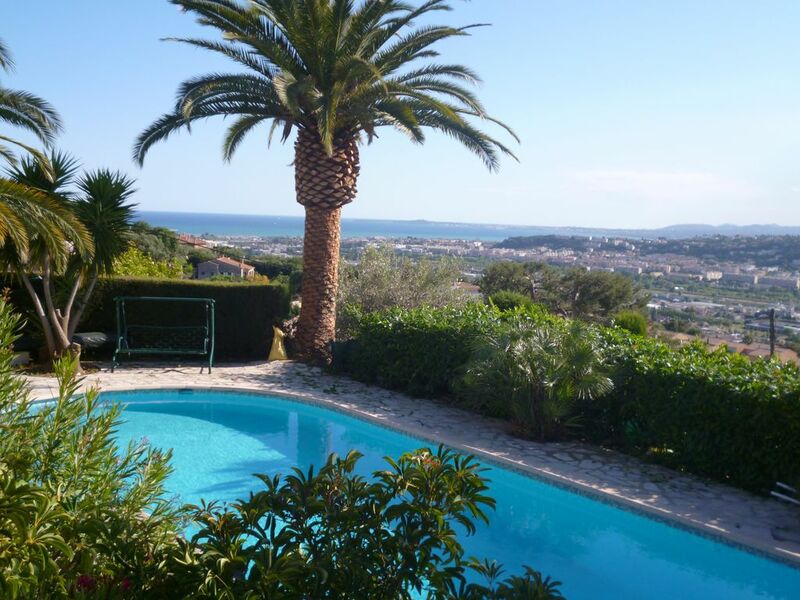 A large swimming pool, exclusive for you in August, shared with the owner in July. The apartment has a bathroom with bathtub., And a separate toilet with washbasin. This is the edge of the pool there was a local who works in toilet and cold shower. The relaxing quiet of a garden to recover after rough hours spent on the road, at the beach or in the city. Haus hat einen super Blick nach Nizza , Außenanlagen ...Pool mit kleiner Outdoor Küche , und Garten traumhaft. Wir haben zu viert erholsame 10 Tage in diesem wunderschön gelegenen Haus verbracht. Eine ausgezeichnete Bäckerei ist mit einem Fussmarsch in 10 Min. erreichbar. In einer viertel Stunde ist man mit dem Auto im Zentrum von Nizza. Das war ideal, um mit unseren Teenagern am späteren Nachmittag und Abend Nizza und die Restaurants zu erkunden. Absolut zu empfehlen. Nous avons eu un excellent séjour dans cet endroit de rêve! Merci beaucoup, tout était parfait! We really enjoyed our time there. All we need was there and everything was beautiful and comfortable : house, garden, view, swimming pool. And very quiet ! A big thank you to our so kind and thoughtful hosts. For sure we will come back. Les photos et le descriptif sont conformes avec ce que l'on trouve sur place. J'ai testé pour la 1ère fois la formule du logement dans la maison des propriétaires et je ne le regrette pas. Ce sont des personnes aimables et discrètes, soucieuses de notre confort. Pour le reste, la location est bien située pour partir visiter les Alpes maritimes (énormément de très belles choses à voir).